It's a day to "honor those who died defending our freedom and democracy," as Doc Hastings once said, and, unofficially, the beginning of summer. Such a momentous occasion can only be marked with the most festive of events—from outdoor parties to concerts and beyond. 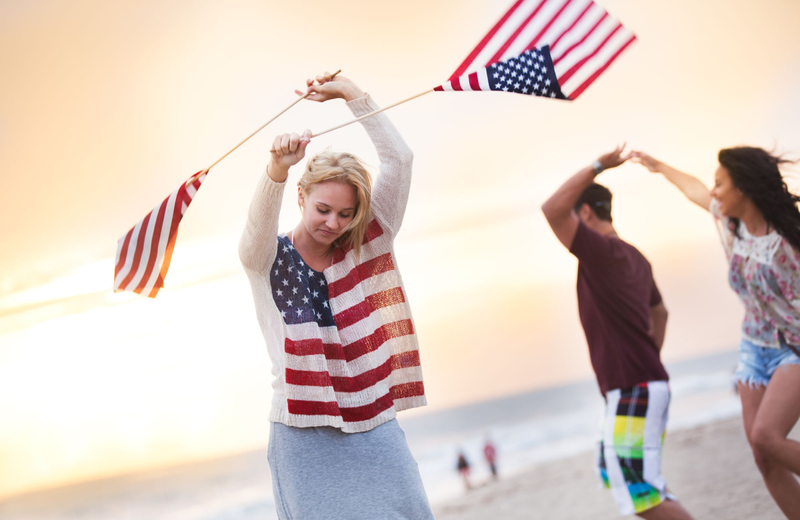 Los Angeles is home to some of the best Memorial Day celebrations, and those lucky enough to reside in downtown Los Angeles apartments are in a perfect spot to experience the best of what the city has to offer. Read on, as we take you through some of the amazing events happening in the days leading up to, and on, Memorial Day. To the southwest, in Hermosa Beach, you'll find the Fiesta Hermosa, a gigantic outdoor arts festival with hundreds of stalls for you to explore. Dubbed the "largest arts & crafts fair in Southern California," this event will feature nearly 300 talented artists. Their skills range from painting to photography to sculpture and beyond, and their wares will be on display for you to marvel at. It's not all an art show, mind you. There will be plenty of other activities for you to enjoy. Music lovers will be able to see performances on either of the three stages set up at the event. While the Main Stage dazzles with tribute bands performing a wide variety of classic rock covers, the Beer Garden Stage will feature a selection of blues, rock, and reggae from other artists. There will also be a Satellite Stage with more acts for you to listen to, so be sure to check them all out. At the Charity Beer & Wine Garden, drinks will be served by town notables, including the Mayor and City Council. Proceeds go to organizations doing great work in the community, so it will be an excellent opportunity to drink for a worthy cause. There will even be attractions for the kids—carnival rides, a petting zoo, facepainters, and more, all to excite the little ones. If you don't mind heading North up the coast, you can head to Bradley to check out Lightning In A Bottle. This expansive outdoor music festival is all about enjoying groovy sounds while staying environmentally friendly, and encouraging the community to be their best selves. The lineup will include big names like Bonobo and Kaytranada, and the event features numerous non-musical diversions to liven up the atmosphere even further. On the grounds, you'll be able to experience live painting exhibits, take some classes at The Learning Kitchen, see the wonder of The Grand Artique, and immerse yourself in a variety of community discussions and educational enrichment that bring the festival's message to the fore. If getting away for Memorial Day weekend is your fancy, there are few places more exhilarating than Lightning In A Bottle. There's something intrinsically mystical about the blues, and the Simi Valley Cajun & Blues Festival will be your key to experiencing it for yourself Memorial Day Weekend. The two-day festival will feature a diverse lineup of performers, food, and drink representative of that authentic Louisiana feel. To top it off, there will be a Mardi-Gras style parade on each festival day, and the proceeds will all go to charitable causes. Simi Valley is only a short drive north from downtown, so there's no reason not to get out there and take part in the fun. The R&B legend, Mr. Legend, will be performing at the Greek Theatre on May 28th. If you're into Legend's unique mix of piano-driven soul and funk music, you'll find few venues more amazing than the open-air Greek Theatre to see him. This show is part of his highly acclaimed Darkness & Light Tour, right on the heels of the performer's 5th studio album. Classy sounds, unparalleled showmanship, and Legend's soulful voice all await, accompanied by an opening performance from Gallant. Remember "Zines?" They're still alive and kicking, and you'll have the chance to experience them in all their glory at this all-day event in the Downtown Fashion District. There will be more than 175 exhibitors, all showing off the wonder of small press and comics from around the nation, and the event is sure to be a focal point for print nerds and art enthusiasts alike. There will be free readings and multiple workshops, so you'll have the opportunity to gain inspiration and share ideas with plenty of like-minded aficionados as well. Take a trip back in time with this 1940s inspired USO show. Clifton's will be holding a star-studded event that will feature costumes, dancing, and all manner of hip, big band jazz. This stunning Memorial Day tribute is free for all active military and veterans, so feel free to don your uniform and dance the night away as an honor to your dedicated service to the country. It's time to experience the massive ode to patriotism. The Canoga Park Memorial Day Parade is one of the finest displays you'll have the pleasure of witnessing. There will be floats, marching bands, and residents from around the area "saluting the price of freedom." You'll not want to miss this fitting tribute, so plan on heading north to Canoga Park to take part in the festivities. Don't You Wish You Were In A Downtown Los Angeles Apartment? If you were, all of these magical events would be well within striking distance. If you're tempted to start looking, make Eighth & Grand your first stop. This luxury apartment building, located on Grand Avenue in one of the most desirable sections of downtown Los Angeles, is all about premium living in a convenient spot. As if the exterior wasn't impressive enough, Eighth & Grand's interior features everything you would want from an upscale residence. Spacious units with perfectly furnished living spaces, kitchens, and bathrooms, top-tier resident amenities, and a dense selection of things to do and see nearby make this one of the most attractive pieces of real estate in the city. Experience downtown like never before; check out your new home at Eighth & Grand.